YOUR BESPOKE WEDDING IN SOUTHERN ITALY! 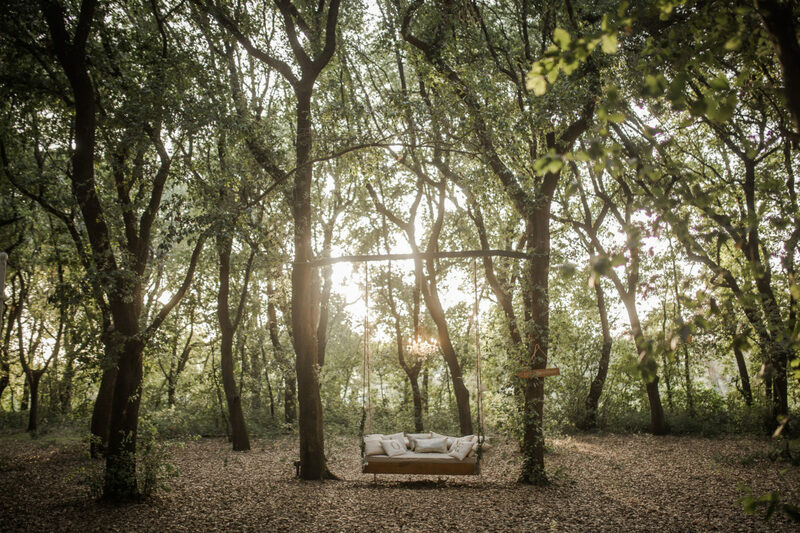 Noces Italiennes is the perfect ally to plan your wedding in Italy. 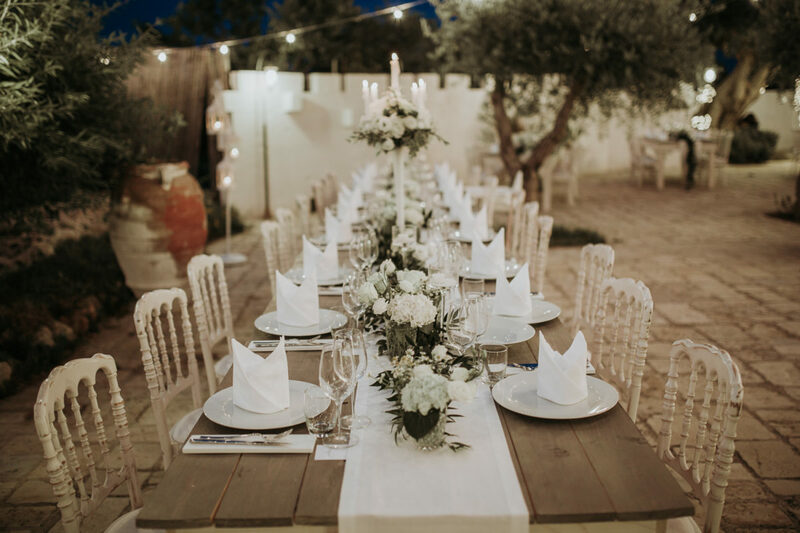 Our wedding planning team is here to help you organise the best day of your life in Apulia, in Southern Italy. Our extensive experience makes us the ideal partner to organise your wedding in Italy from A to Z. We have worked in Lecce for a long time and have an intimate knowledge of this beautiful region. Over time we have developed privileged relationships with local partners and service providers and work with the very best in every field. Our priority is to help you achieve the wedding of your dreams ! Team work is central to our approach. The wedding planning team at Noces Italiennes is made up of efficient professionals whose skills are diverse and complementary, to ensure a modern and original wedding of the highest quality. Being Italy-based, our availability and flexibility means we can answer all the questions you may have, quickly and accurately. A personal space on a dedicated platform will enable each couple to follow the work of our wedding planning team step by step so you can be kept up to date with the progress made in real time. 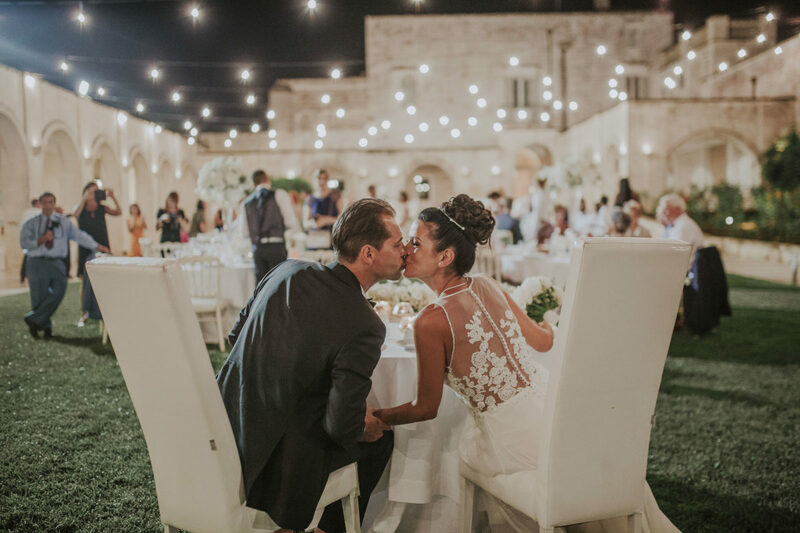 A new hot-spot for fans of white sand beaches, sunshine, crystal clear waters and dolce vita, the region of Puglia is a dream destination for an unforgettable wedding in Italy. Its geographical location, as well as its architecture and cultural wonders appeal to demanding couples in search of originality and romance for their big day. 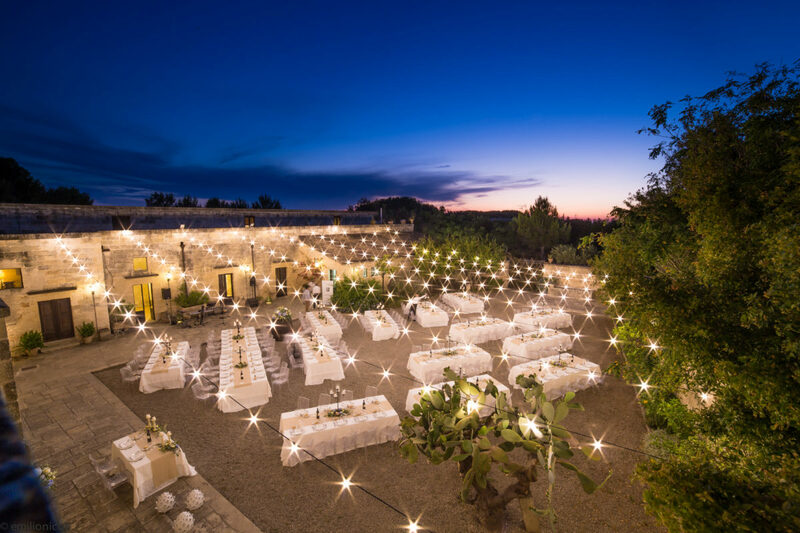 Puglia is the ideal region for your dream wedding in Italy ! Do you dream of eloping, but find distance, logistics and maybe the language barrier intimidating ? 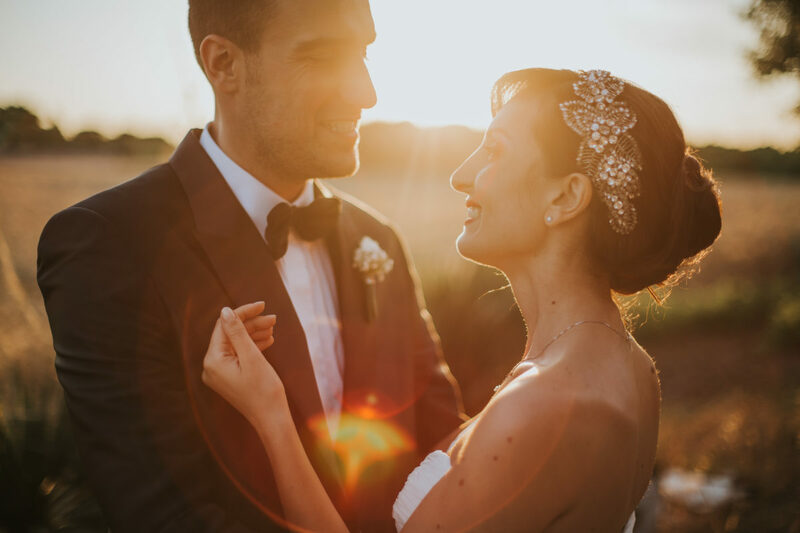 Worry no more, wedding planning is our passion and specialty here at Noces Italiennes, and we will go above and beyond to organise your dream wedding in Italy, guiding you every step of the way. From the choice of venue to the booking service providers, from the organisation of the ceremony, planning of visits, to coordinating the big day itself... Our team is at your side ready to fulfil every wish of yours. Noces italiennes is here to make sure your wedding in Italy is a magical and unforgettable moment. Ready, steady… Get married ! 1. Enjoy a seaside wedding ! 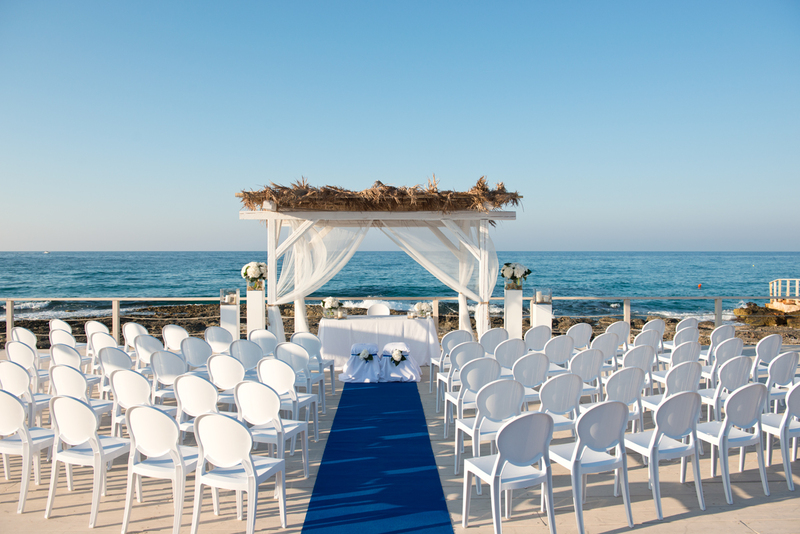 Have you always dreamed of a beach wedding ? 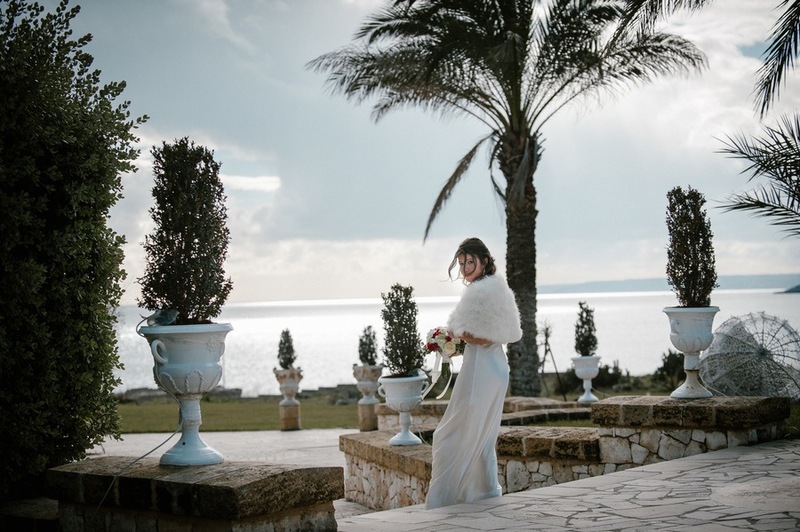 Nestled between the Adriatic and the Ionian Seas, the Puglia region is ideal for a seafront wedding. With its 800 kilometres of crystal-clear coastline, it truly deserves its nickname of "Maldives of Salento". 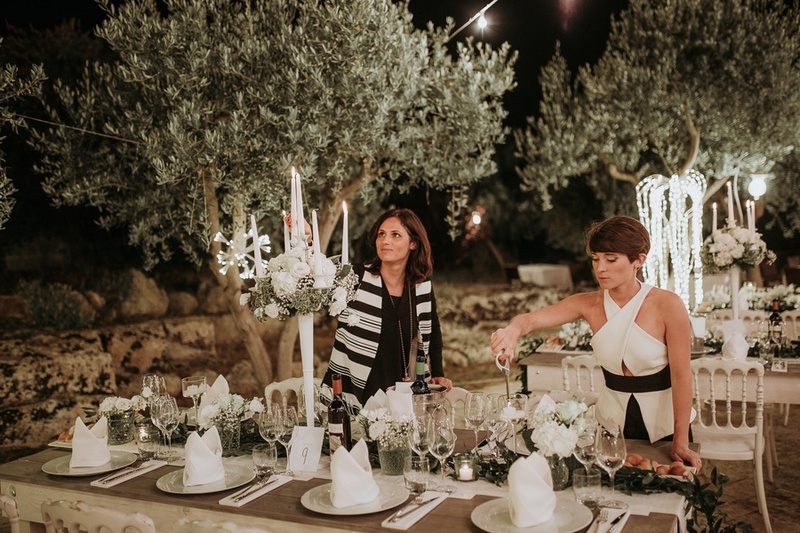 Puglia is the perfect place to organise an unforgettable celebration, feet in the sand. On your marks, ready ... dive ! 2. Discover romantic venues ! 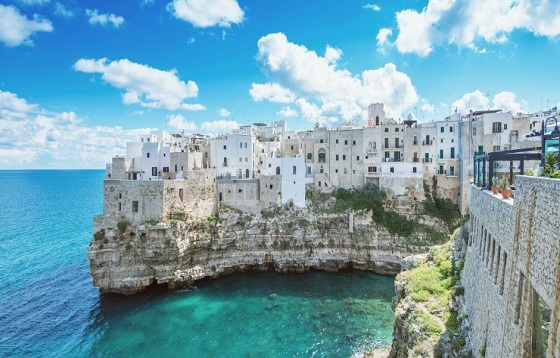 With its wild landscapes and romantic architecture, Puglia offers spectacular landscapes and truly amazing sites, many of which are part of the 54 UNESCO World Heritage Sites in Italy. 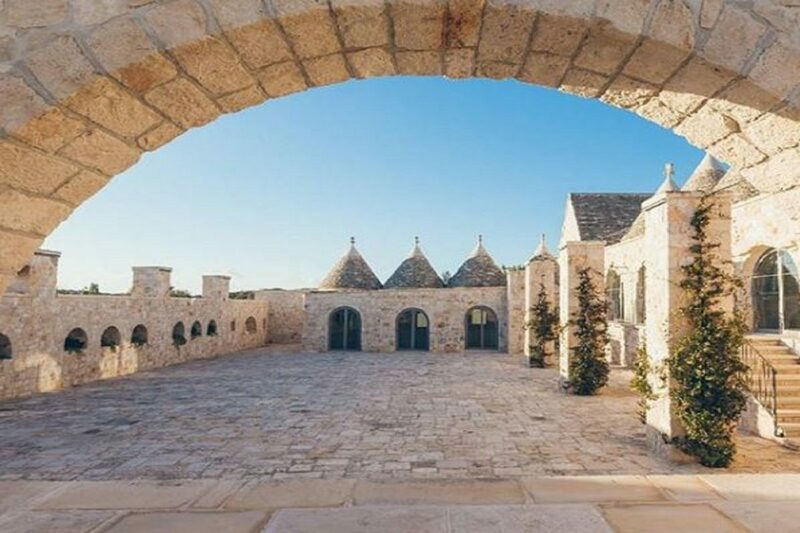 Italian castles, old farmhouses (masserie), monasteries perched at the top of white cities or luxurious hotels and typical trulli, you can count on Noces Italiennes to find the perfect venue for your wedding in Italy! As we say in Italy "Puglia, Lo spettacolo e ovunque ! (“In Puglia, the show is everywhere”). 3. In Puglia, the sun shines all year long! The weather is one of the major concerns for the bride and groom on their wedding day. 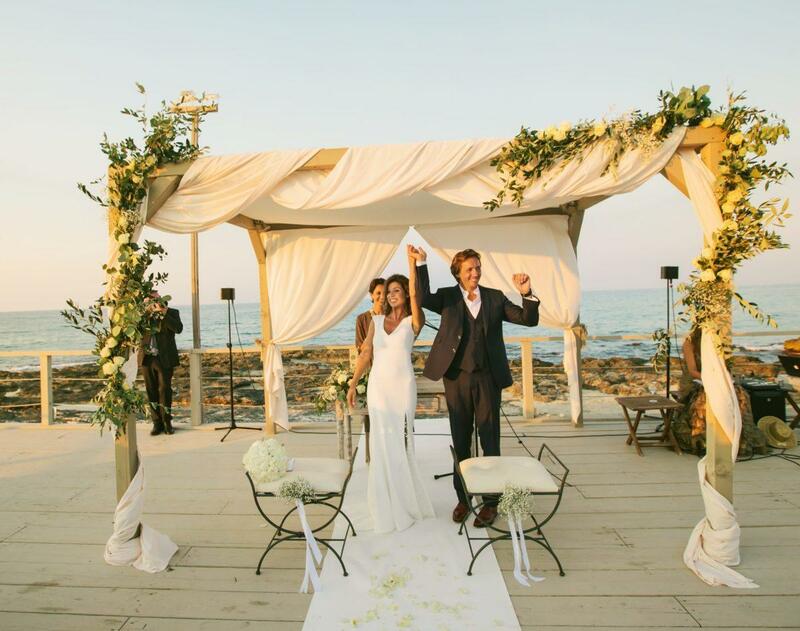 Getting married in Puglia is the opportunity to enjoy stress-free, sunny wedding. Apulia benefits from an exceptional Mediterranean climate that makes it a top destination for a wedding in Italy. Its climate remains mild in autumn and winter and will offer you a summery and romantic atmosphere throughout the year ! 4. Plan fun activities to delight your guests ! Choosing Puglia for your wedding in Italy is also about offering your guests a wonderful stay in one of the most beautiful regions in Italy. The most popular activities in Puglia include swimming in the clear waters, visiting iconic churches and Baroque cathedrals, strolling in typical villages, but also discovering the many exceptional UNESCO World Heritage sites of the region, such as Castel del Monte or the small village of Alberobello.